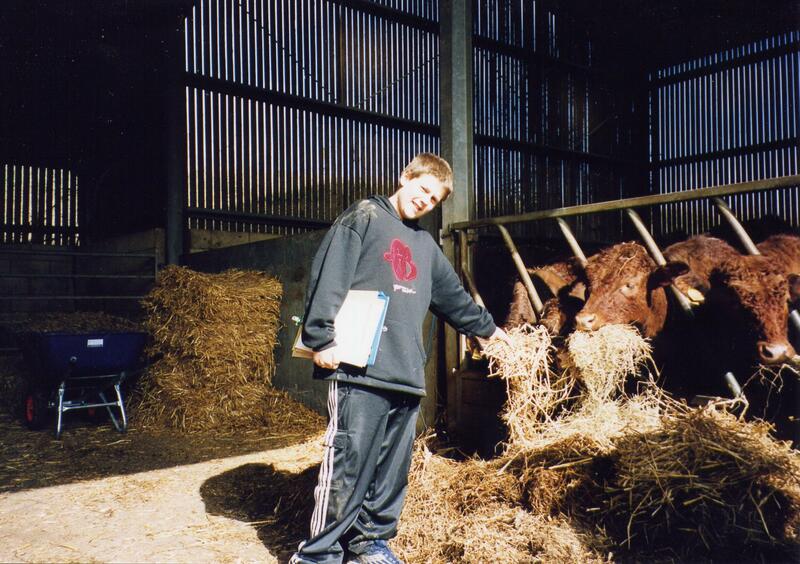 KS 2 farming visits vary depending on the year group and are generally tailor made to fit a schools learning outcomes. Most schools opt for a combination of farming and habitat studies. Schools should arrive at Rushall Manor Farm, Back Lane, RG7 6DS. Coach parking is available. The Farmyard Feely Box. Full of things to do with sheep. Without peeking can you use words to describe what you’re feeling? Are they rough, smooth, cold or hard? Gives the children a chance to get hands on and work out what all the sheep things are e.g. hay, straw & a salt lick. Machinery on the farm. An opportunity to learn about the plough, seed drill and other farming implements. There is always time to have an explore of the Combine Harvester. Growing all the crops. What’s growing in this field, what will we do with it when we harvest the crop, what are our inputs, processes and outputs? The livestock. What animals do we have at Rushall Farm & why do we have them all. A chance to interact with the hand reared lambs and also the cattle, chickens and pigs on the farm. Also the opportunity to meet the donkeys, not part of the commercial farm but old hands at school visits. All visitors to the farm love meeting the livestock and it’s important that they know that for the most part these animals aren’t pets but are an important part of the commercial viability of the farm. Always a good opportunity to discuss poo. Pond Dipping. All ages love Pond Dipping. What creatures live in the pond and what are they up to. All from the safety of a purpose built dipping platform. In May, June & July see the bees in the observation hive. Where is the queen & why are girl bees workers & boy bees lazy. Try some honey (bee spit), dress up as a beekeeper and lets all waggle dance. Sweep netting and/or woodland mini-beasts in the woodland. A chance to explore the invertebrate fauna of the woodland and the grasslands around Rushall Manor Farm. Amazing what you can find when you turn over a log. The Energy Game. Food chains but with a twist. Why are there so many plants, lots of snails, some frogs and only one heron? The Energy Game is a great opportunity to explore these questions whilst carrying leaky cups of water. During lambing the there is always an opportunity to hold the hand reared lambs and hopefully see lambs being born.